For additional information about this book, visit the website www.maybethebaby.com. Even a ruff start can have a happy ending! When three spoiled dogs get word that their humans are expecting a baby, the pups worry and worry and worry some more. After all, they’ve never lived with a tiny baby before. What about trips to the park? Naps on the couch? And what if he likes the cats—the cats!—more than he likes them? A beautifully told story of three dogs’ worries when they get word of a new baby on the way, Maybe the Baby proves that big sisters and brothers—whether they have two legs or four—are just as special. 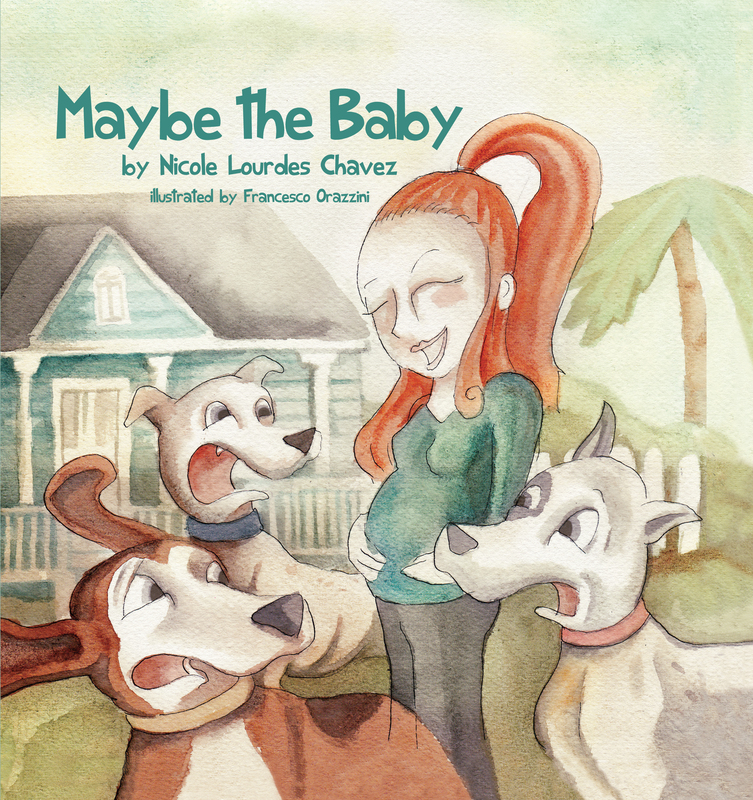 Maybe The Baby tells the story of three spoiled dogs and their newfound worries when they discover that a baby is on the way. The three dogs envision their lives and daily activities being interrupted and even eliminated as a result of the baby’s homecoming. Yet, as the time passes the dogs realize that their reality did not compare to their wild imaginations full of worries and woes. Nicole Chavez was born, raised and lives in Miami, Florida with her husband, son and 11 rescued pets. Nicole loves animals, and even though she was not raised on a farm, the number of furry friends she’s had would make you think she lived on one. Before teaching, mommy hood and writing, Nicole received a degree in Elementary Education and Master's in Early Childhood Education. Nicole welcomes you into her story to share her reality that a new baby shouldn’t mean out with the old in with the new.